Photo courtesy GCAC Tom got adopted but Jerry still needs a home. Jerry is a domestic short-haired cat with a beautiful brown mackerel coat. He’s currently waiting at Greene County Animal Care & Control for visitors in hopes that a new family will take him home for spring. 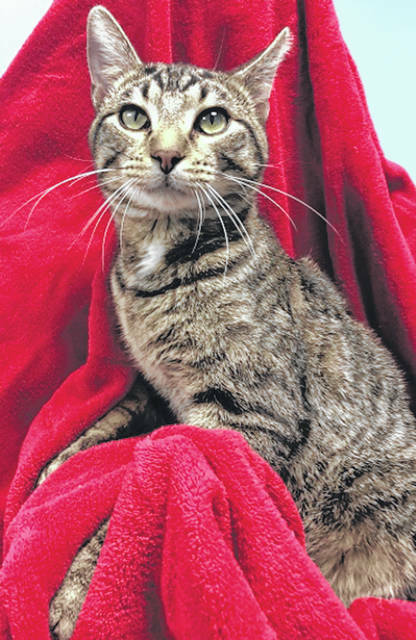 https://www.xeniagazette.com/wp-content/uploads/sites/32/2019/03/web1_Jerry-1.jpgPhoto courtesy GCAC Tom got adopted but Jerry still needs a home. Jerry is a domestic short-haired cat with a beautiful brown mackerel coat. He’s currently waiting at Greene County Animal Care & Control for visitors in hopes that a new family will take him home for spring.